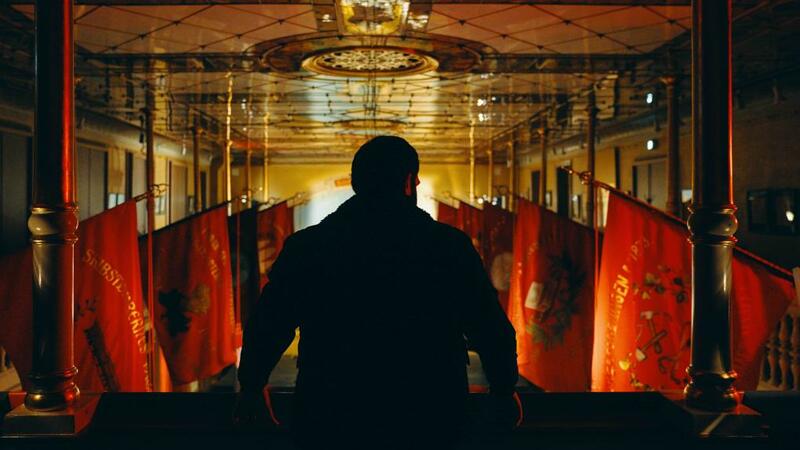 In the feature-length, Sons of Denmark which opened the Tiger Competition at the 2019 International Film Festival, Rotterdam, Danish born director Ulaa Salim considers the rising wave of ultra-nationalism and populism presently gripping the world. Timely as well as politically charged, Sons of Denmark presents an alternate version of Scandinavia, but one not too far removed from today’s major headlines. The year is 2025 and in the pre-credits sequence of Sons of Denmark, Ulaa Salim stages a forceful act of violence when a home-made bomb goes off in the Copenhagen metro killing multiple twenty-three people and injuring many more. With this singular shocking sequence, Salim announces his willingness to play in the big leagues. READ MORE FROM WILFRED OKICHE: My friend Fela is an intimate look at Nigeria’s biggest export. What is purely an act of terror, becomes an opportune moment for extreme right-wing politician Martin Nordahl (Rasmus Bjerg) who fires up his base with message after message of a vision of Denmark that is both vanilla white and super tough on mass immigration. Nordahl’s rhetoric is fodder for the underground but increasingly visible neo-Nazi group, Sons of Denmark who begin to attack young Muslim men, leaving a trail of blood, severed pig heads and racist graffiti in their wake. Nineteen-year old Zakaria (Mohammed Ismail Mohammed) whose single mother lost her husband before fleeing the war in Iraq is the initial guide into Salim’s version of a fractured Denmark sub-society. Zakaria lives in relative comfort but has enough empathy- and time on his hands- to tilt towards an older relative’s message of indoctrination. His curiosity leads him to the country’s terror underbelly and it is only a matter of time before he is placed under the charge of the mysterious loner Malik (Zaki Youssef,) in preparation for his first major operation. Mohammed isn’t the most gifted of actors and his character’s wide-eyed naivety is not the most arresting onscreen presence. So, it is a sense of relief when about an hour into Sons of Denmark, Salim- who also wrote the screenplay- pulls of a skillful shift in focus to the more interesting Malik whose mystery and struggles are eventually unraveled as the film progresses. As a director, Salim makes a terrific feature length debut, showing supreme competency in handling both small moments of intensity and big cinematic action set pieces. The writing is a bit heavy-handed and much too obvious as Sons of Denmark doubles down on its moralistic anti-radicalization and xenophobia messaging. This isn’t helped by the showy deployment of music, particularly, Mozart’s Lacrimosa in pivotal scenes and Salim’s decision to wrap things up in a neatly generic if tragic bow. The themes may be huge but they are clearly stuff that Slim has grappled with for a length of time and as much as he can, he tries to lace his film with moments of complexity where the situations and interactions between characters point towards a humanity that is both welcoming and horrible, sometimes within the same breath. The lead performance by Zaki Youssef is accomplished as his internal and external struggles with identity and place in a changing Denmark is the glue that holds the film up and keeps even the most contrived moments credible. Bjerg leads a solid supporting cast and is suitably charismatic as the demagogue comfortable with leading his country to the brink. Even though Sons of Denmark is constantly undercut by its on writing, Salim’s film maintains a slick sense of urgency and intensity that will help it play both as a commercial entity and art house curiosity, especially in parts of Scandinavia where it is set. The story is a universal one and the hot button issues of immigration, xenophobia and tolerance- as well as romance with the political thriller genre- should help Sons of Denmark find a bigger audience around the world.